Durham, North Carolina, where I live, was the fastest growing of the state’s major cities from 1930 to 1940, second during the decade dominated by WWII and fastest growing even through the 1990s, for that matter. This may relate to its stubborn poverty problem, although when indexed to ethnic make up and an entrepreneurial bent among the poor here that fuels an underground economy, it may not be as high as many other major cities in North Carolina. 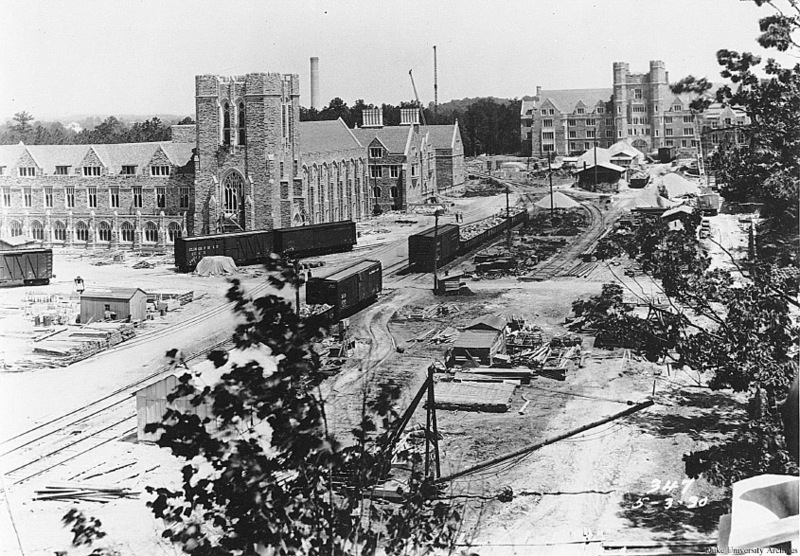 A clue to the genesis of Durham’s poverty is that while the population here skyrocketed by nearly 20% in the 1930s, during the same period, known as the Great Depression, the number of jobs in Durham’s long-vaunted manufacturing sector fell by nearly 20%. But this disconnect wouldn’t really be pinpointed statistically for another two decades. Durham had dramatically transformed North Carolina’s economy following the Civil War, which effectively ended here with Johnston’s surrender to Sherman, first with value-added manufacturing of tobacco and then with textiles. Overall, North Carolina fell into the throws of white supremacists who rallied North Carolinians by re-spinning the Civil War as the “Lost Cause,” a movement that gained steam especially once the Republican Party gave in to Wall Street and pulled the plug on Reconstruction. Durham became a workforce beacon, soon earning a national reputation for leading the way to a New South. Long a beacon for those of various ethnicities who were willing to work side by side, Durham’s population continued to soar well after the first factory closed down in 1938 which signaled a long-term loss of jobs including those in the business service sector and a dramatic decline in retail sales. This was not detected by most who labored on factory floors because they had become accustomed to periodic and temporary lay-offs. Little did they, or as manifested in generations after them, realize that call backs were gradually becoming extinct. The percentage of blacks in and surrounding Durham, both free and enslaved, had been more than 30% of the population in 1860. With Durham’s emergence as a manufacturing center after the Civil War, that percentage increased to 4-in-10 residents by 1890 as people of all backgrounds flooded to Durham for work. However, by 1940 with manufacturing in decline, that percentage had fallen by 11 points even though the overall population of Durham kept swelling with newcomers deserting subsistence farmland for factory jobs. Poverty certainly was not limited to blacks even back then but as it does today, it has disproportionately affected blacks and now Hispanics. If they were able to detect the calamity they faced with a swelling population but a dwindling manufacturing workforce, Durham leaders put reactions on hold during World War II. Durham’s economy transformed, as it has done five times now throughout the history of this land area being populated. Most communities are lucky to re-engineer once or maybe twice but this attribute wasn’t enough when it came to addressing poverty. Even Durham’s transformation since the 1950s into a center for creativity including research, hi tech, healthcare and higher education, including emerging as one of the most widely and highly acclaimed communities in the nation has not yet been able to erase poverty here. By 1960, 1-in-3 Durham residents had fallen into poverty, as had 4-in-10 North Carolinians. The generation of Americans who fought and won World War II, including many from or who passed through Durham, emerged committed to building a middle class, securing equal rights and reducing poverty. Within little more than a decade they were able to make incredible strides. Durham was on the forefront of each of these changes, but like nearly all ethnically-diverse communities, it has never been able to totally eliminate the poverty that took root in the 1930s. Many assume because Baby Boomers such as me made more racket, that this generation was responsible for the dramatic socio-economic changes of the 1960s and 1970s. But these changes in America are a credit to the two generations that came before. If anything, it is today’s lawmaking bodies - dominated by Baby Boomers - that are responsible now for holding us back, even regressing. Durham is a highly integrated community now except for one class of people, the poor. In Durham, we are well-advised to read a study released last week entitled “Where Is The Land Of Opportunity?” by economists at Harvard and the University of California, Berkeley. It geographically ranks consolidated metro areas for upward mobility. The one including Durham is mislabeled as Raleigh but it is a ranking for two distinct metro areas taken together, Durham and Raleigh-Cary. Together, the scores of cities and towns and counties - including Durham - is ranked 48th out of 50. Ominous for North Carolina, the area including Charlotte is 50th. Atlanta is 49th. The area labeled as Salt Lake City, which apparently takes in nearly all of the cities and counties along 100 miles of the Wasatch Front and more than a third of that state’s population, is taken together ranked 1st according to the metrics used. But the reason to read this new study is not to see that Durham falls near the bottom in this ranking, contrasted to how highly ranked it is in nearly every other area where these scientific analyses are conducted. The new study notes that “both blacks and whites living in areas with large African-American populations have lower rates of upward income mobility. 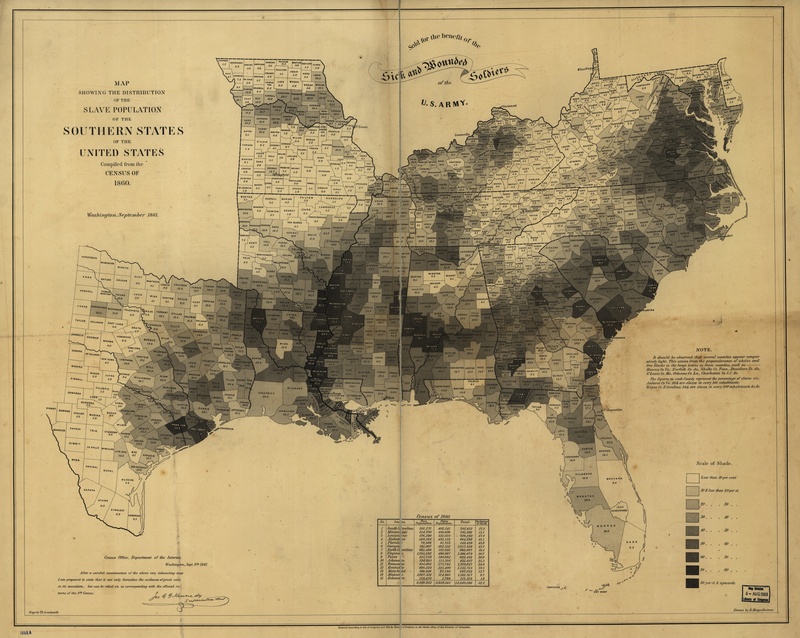 Segregation plays a role according to the study but not just because bands of the country where upward mobility is stymied seem to track states that had significant slave populations in 1860. For nearly 130 years, Durham has been widely noted for having a strong black middle class forged by entrepreneurs. The community’s neighborhoods are integrated today except where poverty is entrenched. The link communities like Durham have is a different type of segregation. The results suggest that it is the isolation of low-income families rather than the isolation of the rich that may be most detrimental for low income children's prospects of moving up in the income distribution. One explanation of this correlation is that the separation of the middle class from the poor reduces beneficial peer effects or funding for local public goods (e.g., schools) for children from low-income families. In contrast, the separation of the affluent from the middle class may not directly harm low income individuals. There is much more to this analysis. But let’s start there. Durham’s poverty today is anchored just where it took hold with that first mill closing in 1938. Geographic isolation within a community is part of the problem and addressing it may be a solution possibly including a much broader application of affordable housing models that mix incomes.